You are here: Home / Domains, Producers & Appellations / All You Need is Love – and Bubbles! All You Need is Love – and Bubbles! Valentines Day, like many modern translations of history has not been immune to whimsical adaptations of reality that have transformed its significance from dubious religious rite to that of a full-blown celebration of the affectionate impulses of humankind. It is believed that this most intimate of mid-February observances has its enigmatic roots in late 5th century Catholicism when Pope Geliasius 1st commissioned a lavish feast in order to pay homage to the illustrious saints of this order. In the late 15th century the Nuremberg Chronicle made clear reference to a lone priest, Saint Valentine, martyred at the hands of Claudius Gothicus in the late 3rd century for his practice of marrying Christian couples in defiance of Roman law. Far cry the spirit of these archives then from the ritual offerings of flowers, sweets and jewels glowingly presented to the object of an enamored soul’s passions that have today taken center stage. 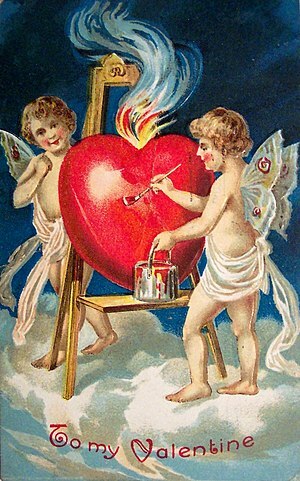 And whereas the true portrait of Saint Valentine is one of romantic ambiguity, that of his kindred partner of passionate pursuits, Cupid, holds no such mystery. Eros to the Greeks, Amor in Latin and son of the goddess Venus, Cupid consistently thrust his arrow deep into the human psyche, overwhelming all mortal resistance! This unimposing deity of desire and affection derives from pure mythology yet represents one of the most potent symbols of what it means to love. And while both Cupid and the patron saint of swooning suitors cast an imposing shadow across the landscape of the star-struck, faintly distant echoes of blissful laughter arise from deep within those who indulge their infatuation in the arms of Bacchus! For sweet-scented perfumes and dazzling trinkets aside, the flame of passion is most certainly ignited through the chalice of wine! And on this day, more than any other, all roads lead to Champagne! 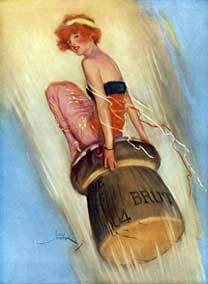 Champagne has the unique ability to make one smile simply at the notion of its presence. The spiraling bead of bubbles that emanates from its core, delights and bedazzles one’s senses, inducing a sensation of levity, warmth and affection. And while there are numerous options from which to choose, there are two at this writing that inspire me for both their purity and generosity. One or both should be on your list this Valentine’s Day. First, the small grower producer non-vintage Egly-Ouriet Brut Tradition Grand Cru is a finessed offering from the Grand Cru village of Ambonnay. It hails from 30-40 yr. old vines and is a blend of 70% Pinot Noir and 30% Chardonnay. The wine shows lovely notes of dark plums, soft cherry, hints of dried golden apple and sweet brioche. It is of medium weight and texture, exhibits clean acidity, refreshing minerality and has a nicely persistent finish. It is consistently polished, of undeniable charm and well worth $56 per bottle. Also on this list and one of my all-time favorites is the Delamotte NV Brut. Established in 1760, Delamotte is one of the oldest houses in Champagne and like its sister operation, the venerable Salon, is located in the prized Le Mesnil sur Oger district of the Cotes des Blancs. A blend of 50% Chardonnay, 30% Pinot Noir and 20% Pinot Meunier, this is a classic wine showing intense purity and pedigree. It is firm with bright acidity yet offers a generous core of nectarine, Japanese pear and hints of citrus blossom. Additional complexity comes from a touch of soft minerals all sewn together by a lovely, fresh piecrust core that make this a seductive pick. This small-production cuvee is a bargain at $47.99! So on this Valentine’s Day, abandon all pretense of moderate indulgence; fire the heartstrings of the one you love with bubbles that inspire. And if you’ve no cause to rejoice, take pause and remember that certain things, sometimes are simply too good to share! « A Brilliant New Year! nice post, I like this more than the commercialized consumerism day that Valentine’s day has become! Thanks for the kind comment Leanova. It is true that the overwhelming commercialization of this and many holidays tends to make us lose site of the original significance of the day itself. Cheers. Hope it put a smile on! All my best to my friends in the valley of bubbles. Maybe all those Inquistions would have never happened if the Pope had ceded to the call of Bacchus! Ahhh, the Catholics knew how to do things back then but I then again, they missed out on the champagne. Would love to have a poster of that image. That flaming red head reminds me of somebody…?